Please note that results in the following report are at present provisional. A full list of results will be published and available here shortly. 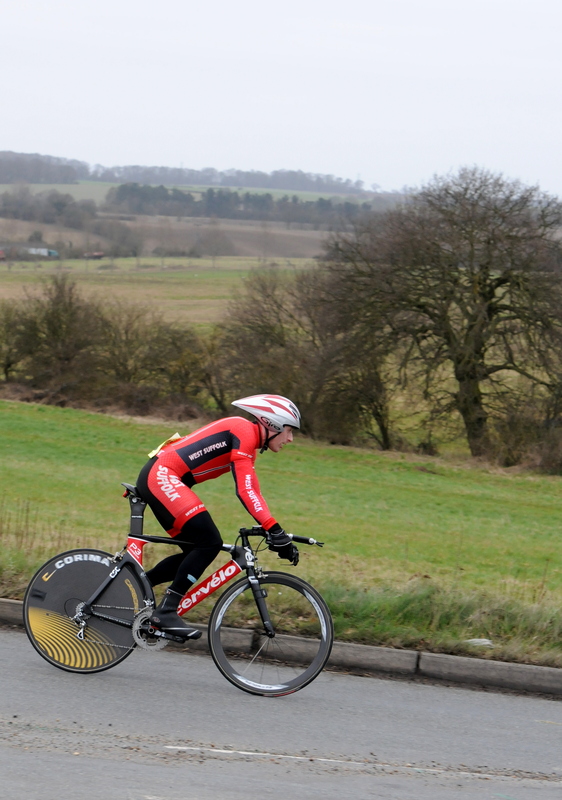 C.C.S’s ‘Mad March Hilly’ Open Time Trial certainly lived up to its name as the riders had to be slightly mad to endure very low early morning temperatures and a biting wind, while racing around the 22 mile course. Starting out from Lavenham, the riders touched Sudbury before going on to Newton Green, Boxford, Hadleigh, and Monks Eleigh before returning to Lavenham. One of East Anglia’s top time trialist’s, West Suffolk Wheelers, Peter Balls, confirmed his top billing by coming home fastest in 51mins 07secs to take the winners trophy. 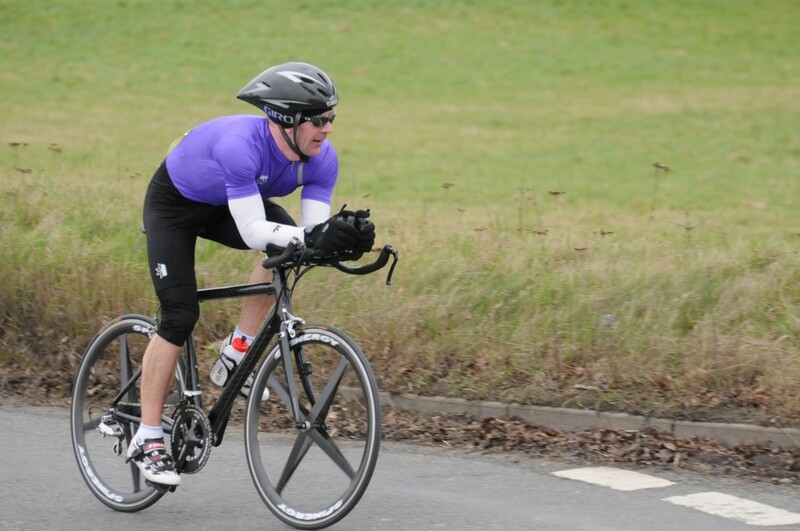 C.C.S’s own Simon Wright put in a remarkable ride for a time of 52mins 19secs to claim 2nd place. Remarkable, because along with the winner, they are both classed as veterans and Simon last rode a time trial of similar distance way back in his teens. 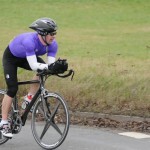 He admits that road racing and criterium’s are more to his liking and had entered the event to help with his training! Stowmarket & District C.C.’s Andrew Leggett, claimed 3rd place with 53mins 45secs and was pushed hard by Ipswich B.C.’s Phil Hetzel taking 4th place only 6secs adrift with 53mins 51secs. Team Swift’s Dean Fuller took 5th place in 54mins 09secs with the home club’s Simon Daw rounding off the top six, recording a creditable 54mins 37secs. C.C.S’s George Hoppitt, in a time of 1hr 02mins 22secs. All results at this stage are still provisional. This was the first running of C.C.S’s Hilly event and seemed to go down well with the competitors who enjoyed the new course, although the 34 rider entry was slightly disappointing for the organisers, but hope it will be an event to build upon in the coming years.